When your mission is to simplify banking and enable other companies to build the best-in-class financial product, you'll need to be fast, flexible and always ready to evolve. That's the business that SynapseFI is in, providing its customers with a wide variety of fast, easy and electronic financial services: sending and receiving payments, opening deposit accounts, white-labeled physical or virtual debit and credit cards, consumer and business loans, and much more. SynapseFI, with its fintech partners, has handled a total of $10 billion in transactions for close to 1.8 million end users to date. Credit Management is a grind -- clunky, time consuming and laden with risk. It requires millions of dollars to capture consumer attention and nurture through the sales cycle. And then comes the arduous credit assessment, throwing a wrench into the promise of a seamless digital customer experience. In fact, up to 90% of bank new customer applications drop out due to slow onboarding 1. Even once a deal closes, there is still plenty of work to do. The next hurdle is invoice collections, with default and delinquency rates averaging anywhere between 0.2-54.5% internationally 2. In today’s digitally-driven market, consumers are demanding quicker turnaround times and instant approvals. This makes simplifying and streamlining the entire credit management process more critical than ever. As MongoDB’s OEM business continues to rapidly expand, it’s a personal priority to work with organizations who are solving serious market needs with the most innovative technology. Credisense, our newest OEM partner, and their MongoDB- powered, full end-to-end origination and credit decisioning solution is a phenomenal example of this. They’re already making splashes worldwide. For example: CTOS Data Systems (Malaysia’s largest credit reporting agency) is enabling banks, utilities, non-bank credit issuers, fintechs and lenders in the P2P lending space to make real time credit decisions using the Credisense platform, enabling things like instant loan approvals for credit cards and auto loans! I had the opportunity to discuss the Credisense platform and the data technology behind it with Richard Brooks, Co-founder and Director. Tell us a bit about yourself and the genesis of the company? Our three co-founders have different, but complementary backgrounds. I have worked for bureau and data companies my entire career and been involved in the automation side quite extensively. Our second co-founder and CEO, Sean Hywood, is a software expert having built up several software companies over his career focusing on low-code technologies. We combined our knowledge with the technical expertise of our third co-founder and CTO, Waylon Turney-Mizen, with the vision of providing enterprise grade functionality to organizations of all sizes. The aim is to allow all businesses to make smarter decisions, faster. For anyone that isn’t familiar with Credisense yet, could you describe why you set out to build this and the problem it’s solving? There are some sobering stats that show how important these are, such as over $200 billion dollars 4 of regulatory fines in the US alone since the GFC, to the fact that traditional lenders have lost over 30 percent of personal loan market share 5 to agile financial technology companies. All these add up to some serious issue for business, some that even threaten their very existence. Our aim when creating Credisense was to tackle these issues, both by assisting traditional corporates to embrace this digital strategy, to providing this same technology and expertise to smaller businesses so they can compete and level the playing field. How would you describe the platform and the unique advantages that Credisense gives its customers? Our platform is born in the cloud and offers a “no-code” build capability allowing organizations to build out the functionality internally and grow the solution with their business. We have a unique graphical interface, and this coupled with the “no-code” technology allows business people -- not IT -- to build, own and manage the system. The platform itself revolves around the decision and scoring engine which powers the advanced assessment and risk decisions for organizations. Our MongoDB backend means we can confidently scale to handle millions of credit applications and still support real-time workflow and decision making in seconds. How did you land on MongoDB to help you solve these challenges? We needed a database to support a minimum of 100,000 transaction a day across a cloud platform. There are only a handful of NoSQL databases that can support the level of transaction with the ability to further scale if required. MongoDB ticked all the boxes. Add that to MongoDB’s great documentation security, tooling, support and APIs, and it made MongoDB the right choice for our development teams. MongoDB offered us extensibility to be on-premises, which is something other cloud database platforms would not offer. It made sense to go with a database platform that offered both so that we could in turn offer this to our customers that require data to be held within their own environments for security reasons. Also, reach out and talk to MongoDB early in your process. The support they give you up front will help ensure you’re making the best decisions. How are you securing MongoDB? We utilize MongoDB Atlas for our Continuous Integration and Testing environment and will have a managed service offering. This is secured with an IP whitelist, secure password and SSL connection which was easy with Atlas and Atlas Professional. We also have a customer-managed deployment secured out of the box behind a VPN that connects the app server to the MongoDB server. It also utilizes a strong username/password combination with minimum length and character requirements. Through our OEM arrangement with MongoDB, we package MongoDB Enterprise as part of our product to ensure our customers have highly secure and enterprise-grade solutions. Where have you deployed MongoDB? 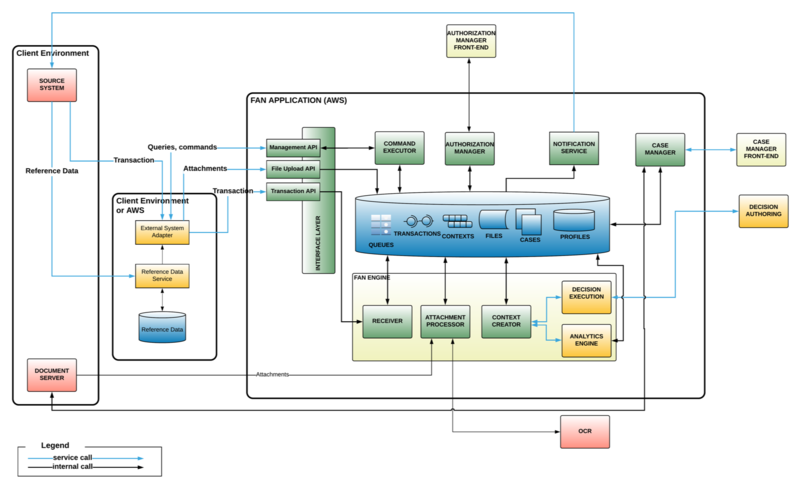 On-premises, in the cloud, via MongoDB Atlas? What tools are you using to deploy, monitor MongoDB? All! The requirement for extensibility across platforms without any changes to the code was one of the key reasons for MongoDB selection. MongoDB Atlas removes operational overhead and mitigates risk through automating many of the manual processes (configuring operating system, upgrades, backups and restores). This means we can focus on ensuring our customers have the robust platform they need to provide instant loan approvals. We also have a production environment on-premises. 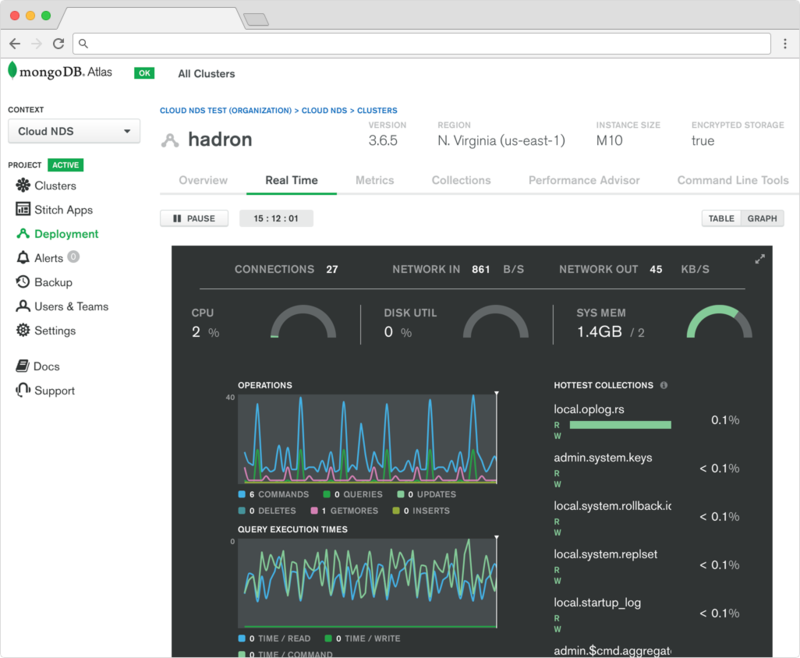 Soon, we will introduce the use of MongoDB Cloud Manager for monitoring and alerts of on-premises production environments. With over 100 metrics and proactive alerting, we’ll be able to catch issues before they arise. FICO is more than just the FICO credit score. Founded in 1956, FICO also offers analytics applications for customer acquisition, service, and security, plus tools for decision management. One of those applications is the Falcon Assurance Navigator (FAN), a fraud detection system that monitors purchasing and expenses through the full procurement to pay cycle. Consider an expense report: the entities involved include the reporter, the approver, the vendor, the department or business unit, the expense line items, and more. A single report has multiple line items, where each line may be broken into different expense codes, different budget sources, and so on. This translates into a complicated data model that can be nested 6 or 7 layers deep – a great match for MongoDB’s document model, but quite hard to represent in the tabular model of relational databases. Each transaction arrives in a receiver service, which places it into a queue. An attachment processor service checks for an attachment; if one exists, it sends it to an OCR service and stores the transaction enriched with the OCR data. A context creator service analyzes it and associates it with any past transactions that are related to it. A decision execution engine runs the rules that have been set up by the client and identifies violations. One or more analytics engines review transactions and flag outliers. Now decorated with a score, the transaction goes to a case manager service, which decides whether to create a case for human follow-up based on any identified issues. At the same time, a notification manager passes updates on the processing of each transaction back to the client’s expense/procurement system. To learn more, watch FICO’s presentation at MongoDB World 2018. In 2015, Nicolae Gudumac was working at a social media agency managing hundreds of campaigns for clients. However, with each campaign requiring multiple rounds of review, he needed a way to streamline the disjointed feedback loop and bring everyone onto the same page. Along with his co-founders, Xenia Muntean and Vlad Calus, he began building a platform that would streamline this time-consuming process for social media managers, agencies, and their clients. The team created Planable, a platform that simplifies planning, visualizing, and approving social media posts. The tool feels like a live mock-up of the social feed, making it easy for teams to collaborate and give real-time feedback in a familiar format. He also needed to build a foundation that could scale with them as the business grew. Since Planable is a collaboration tool that needs to keep users synced in real-time, Nicolae built the tool on top of Node.js and websockets. The team harnessed MongoDB’s oplog tailing functionality to send real-time updates to all connected users when relevant data changed and recently started to leverage MongoDB change streams to make this process more simple and scalable. To easily scale their app servers at peak times, Nicolae chose to run Planable on AWS container service. For managing their MongoDB deployment, the team started off using Compose.com but were having issues with restoring backups and only had access to a very limited set of configuration options. Compose also charged a premium for upgrading their storage engine to WiredTiger. MongoDB Atlas, with its queryable backup snapshots, automated upgrades, and configuration flexibility — especially the ease at which clusters can be scaled horizontally — looked very appealing. We needed to be able to provide our clients with a platform that is as reliable as we are. Atlas’ native cloud first and scale-out architecture aligned well with our increasing performance demands and usage growth. When Planable was accepted into the MongoDB Startup Accelerator, the timing was right to make the move to MongoDB Atlas. The team had customers all over the world and couldn’t afford any downtime with the migration. They used the Atlas Live Migration Service to move over their data from Compose with no downtime. Currently, the team of 6 is split between engineering and business. With a small engineering team, they’re hyper-focused on product improvements and new features that will drive the business forward. Atlas features such as the Real-Time Performance panel and the Performance Advisor, which monitors clusters for slow queries and automatically suggests indexes to improve performance, allow the team to dedicate more of their attention to application improvements. According to Nicolae, “The Performance Advisor has made indexing the database and optimizing queries a no-brainer." 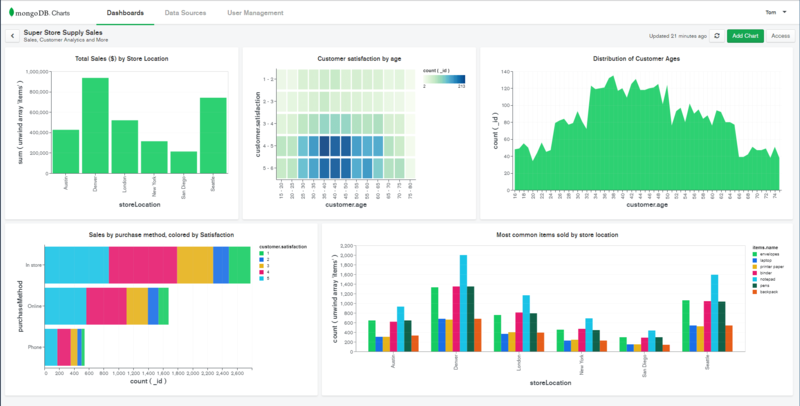 The team is looking forward to the upcoming release of MongoDB Charts which is currently available in beta. “Charts will enable our marketing and business team to gain insights from our database, without resorting to sophisticated and expensive BI tools” says Nicolae. Planable is bringing thousands onto their platform each month and are well on their way to becoming the default tool for social media collaboration.